Do it that way. Look that way. Crochet That Way! 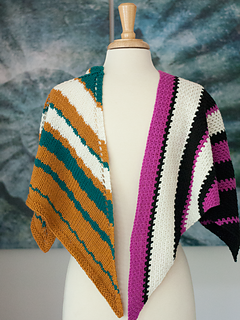 Our newest crochet shawl is designed by Heather Walpole and it’s the perfect compliment to This Way. 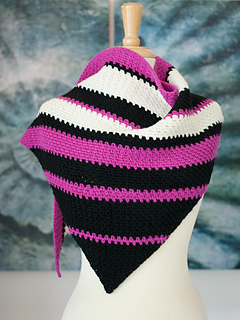 These crochet stripes dip below their lines to add a funk intrigue. Gauge: 16 sc to 4”.